On April 9, Hunan Governor Xu Dazhe presided over a provincial government executive meeting. It reviewed and approved a Plan to Implement the Reform of One Step Approval Process. It is a holiday for people to pay respect to the deceased and enjoy outings.It lasts from April 5 to 7. 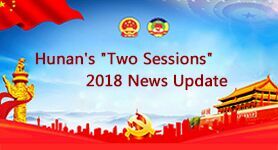 On March 18, the Hunan provincial government holds a meeting to convey the spirits of the second session of the 13th National People's Congress and the second session of the 13th National Committee of the Chinese People's Political Consultative Conference (CPPCC). Hunan Governor, Xu Dazhe, delivered the Report on the Work of the Hunan Provincial People’s Government at the Second Session of the 13th Hunan Provincial People’s Congress on January 26, 2019. Chinese New Year, also known as the Lunar New Year or the Spring Festival, boasting a history of more than 4,000 years, is the grandest and the most important festival for Chinese people. New year is just around the corner. A variety of holiday activities are holding and to be held across the province. Here’s a one-minute video to showcase splendid and innovative Hunan, produced by the People’s Daily New Media Center and the Office of the Central Cyberspace Affairs Commission Mobile Network Management Bureau. The best time to see Hunan's stunning autumn colors is around mid-October and early November. Here we've rounded up the Hunan's most magnificent viewing spots. Chinese National Day is celebrated on October 1st every year to commemorate the founding of People’s Republic of China. On that day, lots of large-scaled activities are held nationwide. 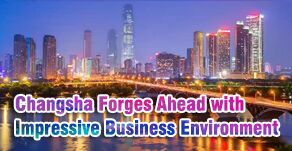 On Sept. 6, the 4th Investing in Africa Forum opened in Changsha. 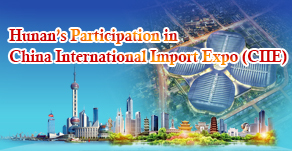 It is co-sponsored by the Ministry of Finance of China, Hunan Provincial People's Government, China Development Bank, and World Bank. Rafting and whitewater rafting are exciting outdoor activities which use an inflatable raft to navigate a river or other body of water. Hunan has rich water and mountain resources which provide ample chances for rafting. Let’s take a look at the following recommended places. The 2018 Hunan-Yangtze River Delta Economic and Trade Cooperation Conference Week (“Conference”) was held between July 24 and 27. There were 3 main activities, 9 themed activities and 22 activities attended by delegations from Hunan’s cities and prefecture in the cities of Shanghai, Hangzhou, Nanjing and Kunshan. 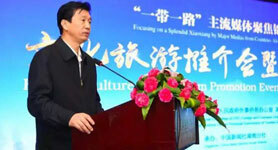 Hunan has obtained fruitful achievements at the Conference. There were 152 provincial projects valued at 294.857 billion CNY signed, with 260.729 billion CNY to be introduced. 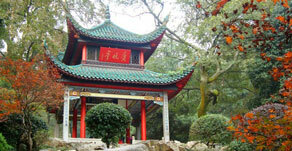 It is organized by the Confucius Institute Headquarters (Hanban) and the Hunan Provincial People's Government. Based on language competition and cultural communication, it aims to strengthen interaction between Chinese and foreign youths and “tell China stories well” to the world. On June 18 come celebrate Dragon Boat Festival 2018 with the lively dragon boat competitions! This summer there is full race schedule from June to October in cities across Hunan. Find out where you can get your hands on some of the most exciting ones, so be sure to come and enjoy! A member of the delegation from Nova Scotia Province, Canada to the 14th China (Shenzhen) International Cultural Industries Fair (ICIF), experiences spinning or indoor cycling at the Animation Section of Hunan Pavilion on May 12. The 2018 Changsha Media Arts Festival and the International Youth Forum: Creativity and Heritage along the Silk Road kicked off in Changsha on May 21. There are more than 300 intangible cultural heritage items of 11 categories in Hunan province, including literature, music, dance, drama, opera, physical culture, fine arts, craftsmanship, traditional medicine and custom. Labor Day, or May Day, is also known as the Int'l Worker’s Day. It is a national holiday observed by over 80 countries to celebrate the achievements of workers. Since 2008, it became a 3-day national public holiday. This year, May Day holiday lasts from April 29 to May 1. 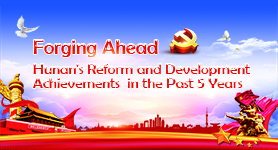 In 2017, facing intricate domestic and international situations, and greater downward pressure on the economy, the whole province worked vigorously for development while maintaining stability, implemented new development concept, and insisted in keeping improving development quality and efficiency as the focus under the strong leadership of the CPC Hunan Provincial Committee and the People’s Government of Hunan Province, and the guidance of Xi Jinping Thought on Socialism with Chinese Characteristics for a New Era. A puff of breeze comes abreast with the charming spring. It is now a time of year that many look forward to. Nature is bursting with life, and plants are in bloom. Everything is going to sing, and everyone is eager to get outdoors and explore. What will you see in spring in Hunan? Let’s check it out. The First Session of the 13th Hunan Provincial People's Congress opened in Changsha on January 24. Hunan Governor Xu Dazhe delivered the work report of Hunan Provincial People’s Government during the meeting. 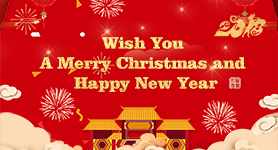 Chinese New Year, also known as the Lunar New Year or the Spring Festival, has a history of more than 4,000 years, is the grandest and the most important festival for Chinese people. 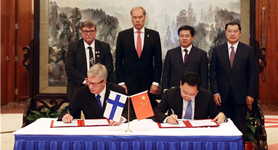 Hunan Governor Xu Dazhe met in Changsha with South Ostrobothnia Regional Council Board President Lasse Anttila and Ambassador of the Republic of Finland to China Jarno Syrjälä on December 12, 2017. He believed both sides would continue to broaden the communication channels and promote bilateral cooperation in agriculture, forestry, trade, science and technology, education, environmental protection, tourism, and other fields, to achieve mutual benefits and win-win results. An interview themed “Focusing on a Splendid Xiaoxiang by Major Media from Countries along the ‘Belt and Road’” was launched in Changsha recently. The event gave the reporters a better understanding of Hunan. After the Mid-autumn Festival, Changsha greets autumn meteorologically. Osmanthus fragrans are in full bloom in cool autumn breeze, bringing the sweet fragrance to every corner of the city. Here we pick out some good places for enjoying the deliciously fragrant flowers. Since the 18th CPC National Congress in 2012, Hunan Province has vigorously pursued the great opportunities of the “Belt and Road” initiative, the Yangtze River Economic Zone development, and the new round of the ‘Rise of Central China’ plan, and put into practice President Xi Jinping’s requirements made during his inspection tour in Hunan. 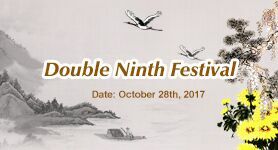 Double Ninth (Chong-yang) Festival is a traditional Chinese festival which falls on the 9th day of the 9th lunar month. It is also a time to show filial piety to the aged according to Chinese custom. 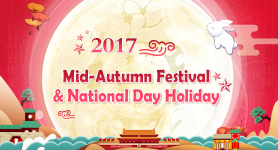 The Mid-Autumn Festival, or the Moon Festival, is one of the most important annual festivals for Chinese. It falls on the 15th day of the 8th Chinese lunar month, October 4th this year. Themed on “Splendid Xiaoxiang, Vast Dongting Lake, and, Charming Xiangyin”, the festival will provide tourists with customized classic travel routes, including landscape sightseeing tour, tower and island tour, and ancient town tour. They will depart from Xiangyin to enjoy the beauty of Hunan. Summer is in full swing right now. Most of Hunan are experiencing record high temperatures. 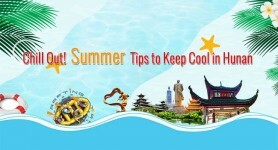 It’s time to find some cool places, and cool ways, to chill out in the summer heat. 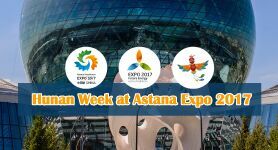 "Hunan Week" at the Astana Expo 2017 opens in the China Pavilion in Astana, Kazakhstan from July 18 to July 20. It will offer visitors an opportunity to enjoy Hunan teas, drinks, and cuisine, and appreciate Hunan porcelain, culture, and beautiful sceneries. Contestants from more than 100 countries will arrive at Confucius Institute Headquarters in Beijing on July 10, 2017. They will compete in the 16th Chinese Bridge—Chinese Proficiency Competition for Foreign College Students. The contests in China will last for one month. Recreational fruit picking is a fun way to get fresher and higher quality produce than you would buy in supermarkets. Many Hunan’s fruit growers offer visitors the opportunity to pick fresh fruits from the fields. Visitors can spend the day wandering through the plantations, filling their baskets with fresh fruit to take home. Dragon Boat Festival falls on the fifth day of the fifth lunar month. It is a traditional Chinese holiday to commemorate the ancient patriotic poet Qu Yuan. For thousands of years, the Festival has been characterized by dragon boat racing, and eating Zongzi. This holiday will provide ample chances for all to be involved in celebrations. The 2017 Hunan-Hong Kong Annual Trade & Investment Conference was held in Hong Kong, Macao, and the Pearl River Delta region from April 25 to 29, 2017. Labor Day Holiday in China, lasting from April 29 to May 1 this year, will be a prime time for a spring day trip.Several tourist destinations around Hunan are recommended. In 2016, facing increasing downward pressure, under the leadership of the CPC Hunan Provincial Committee and the Hunan Provincial People’s Government, the people of the province conscientiously implemented the decisions and deployment of the Central Government and the State Council, and the innovative idea of development. March 5th is the official "Learning from Lei Feng Day" when various organizations and institutions call on people to learn from Lei Feng, a cultural icon symbolizing selflessness, modesty and dedication. As time passes, the values and beliefs that the Lei Feng spirit represents continue to spread throughout China. The Seventh Session of the 12th Hunan Provincial People's Congress was grandly held on the morning of Jan. 14, 2017. Governor of Hunan Province Xu Dazhe delivered the government work report at the conference. 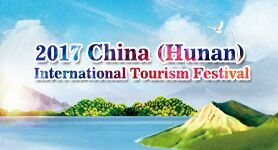 Hunan's achievements in 2016 and its goals for 2017 were highlighted in the report. 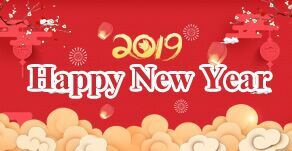 Chinese new year, also known as the Lunar New Year or the Spring Festival, has more than 4,000 years of history, is the grandest and the most important festival for Chinese people. 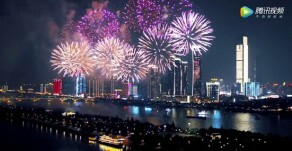 Normally, the public starts celebrating it from the New Year’s Eve till the Lantern Festival. Changsha-Zhuzhou-Xiangtan Intercity Railway, Hunan’s first intercity railway connecting Changsha, Zhuzhou, and Xiangtan cities, is 95.5 km long. This passenger dedicated line is designed for an average speed of 200 km/hour, but runs at 160 km/hour at initial phase. 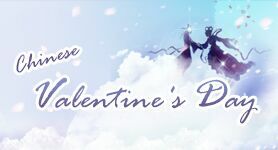 It celebrates the annual meeting of the cowherd and weaver girl in Chinese mythology, so it is sometimes called the Chinese Valentine's Day. On the afternoon of January 22, the First Session of the 12th CPPCC Hunan Provincial Committee opened at the People's Hall of Hunan Province.